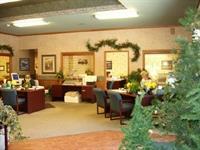 Silver Pines Escrow was established in 1978, it is the only independently owned escrow company in Big Bear. This means it does not have financial ties with any real estate company and can be completely neutral and unbiased as we process your escrow. The goal of everyone on our staff is to complete each escrow with competence, efficiency, and personal service, as we cultivate repeat business from satisfied customers. Owner, Tina Thompson has been affiliated with Silver Pines Escrow since 1979. She had the opportunity to purchase the company in 1997. She specializes in and loves the challenge of the more involved escrows, as well as bulk sales including liquor license transfers, and mobile homes. Her contractor-husband Chuck, built the beautiful new building we now call our offices, located at 41223 Big Bear Blvd. in Big Bear Lake.